Successfully Added 8 Inch Car Or Home LCD Monitor - Touch Screen Function to your Shopping Cart. 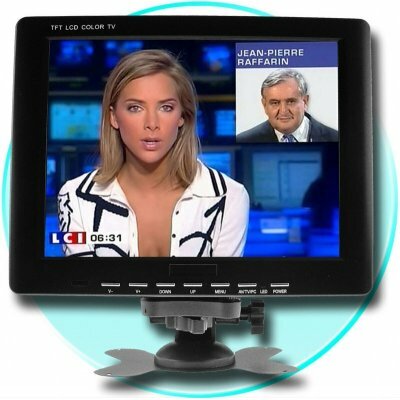 LCD Monitor for use either in a car or in the house with a touch screen function when used as a Computer Monitor. This wholesale LCD Monitor comes with a mounting bracket that will easily let it be placed on a cars dashboard or on a desktop, and is a perfect accessory if you own a car PC. It has a high max resolution of 1024x768, has TV and AV in as well as VGA IN, and even comes with a high quality loud speaker and 3.5mm earphone jack. Add some large screen entertainment to your car, or have a great TV/PC accessory with Chinavasions wholesale priced LCD Monitor..